Collective and concerted global efforts are critical in addressing food safety, an International Dairy Federation (IDF) representative asserted at a meeting on Safe Food for Sustainable and Resilient Societies in New York on 12 July 2018. Mr Atze Schaap, who is also the Corporate Director of Dairy Development at the Royal FrieslandCampina of The Netherlands, was speaking to delegates at the event which was held in conjunction with the UN High-Level Political Forum on Sustainable Development. Mr Schaap underscored the importance of ensuring that food products, including dairy, is safe and of high quality. “We must ensure that food is nutritious; there is less food waste; there is lower carbon footprint in food production; and farmer-producers are enjoying better livelihoods,” he stressed. “This can be accomplished by organizing the production chain in an efficient way with a focus on the end consumer. It requires multiple ownership with each player bearing a different level of responsibility in their role along the value chain,” Mr Schaap stated. He pointed out that the IDF has been setting standards for more than a century to ensure the safety of milk and dairy products to facilitate trade. He said the IDF has served as a technical adviser to the Codex Alimentarius Commission since its establishment in 1963, providing support on all matters related to the dairy sector. This includes analytical standards, food standards related to farming such as animal health and welfare, the environment and nutrition. 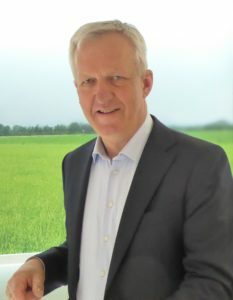 Citing examples of IDF’s work on about 100 international standards, Mr Schaap outlined the IDF’s publication on antimicrobial resistance for the dairy sector; a review of listeria in dairy production; participation in the revision of Codex’s general principles of food hygiene; and co-publication with the International Organization for Standardization. Mr Schaap said the IDF will continue to strengthen its work on food safety through its close collaboration with the Codex Alimentarius Commission, the UN Food and Agriculture Organization, World Health Organization and other organizations which contribute towards achieving the Sustainable Development Goals of alleviating hunger and reducing poverty. 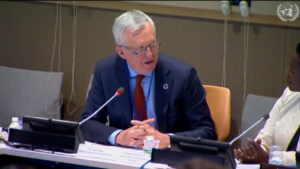 Mr Schaap’s presentation is featured on http://webtv.un.org/watch/safe-food-for-sustainable-and-resilient-societies-2018-hlpf-side-event/5808702266001/ from time code 43:37 to 49:51.